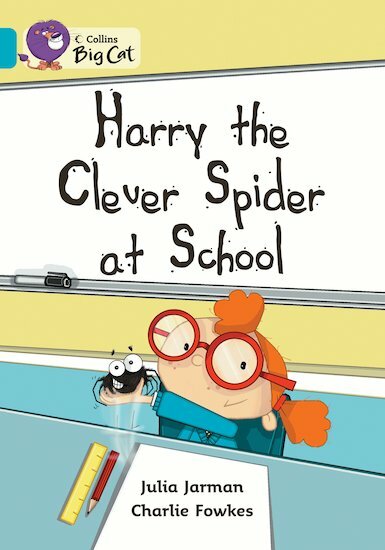 Harry the spider goes on a field trip to Clare’s school, but escapes in the classroom. The teacher is fuming – until he finds her lost glasses! Then she has to agree that Harry is a very clever spider! A fictional story with a familiar setting, corresponding to Turquoise Band 7 of the Book Bands for Guided Reading.